October is Breast Cancer Awareness month and we’ve found five great eco-friendly products that will help you ‘Think Pink’ and shop green to raise awareness and funds for finding a cure for breast cancer. Moms and daughters will delight in these pretty, pink finds! 100% of the proceeds from this adorable upcycled vintage jean skirt will benefit a 25 year old breast cancer patient named Alicia. Made in Etsy shop Freckletree, the designer urges women to “fight like a grrrl” to be strong and triumph over breast cancer. 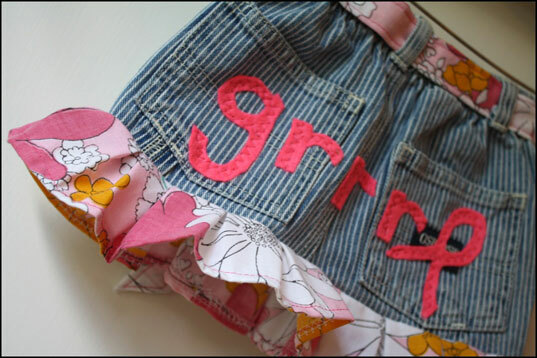 Sized for ages 3-9 months, this skirt may be mini, but the message and love behind it are grandiose. 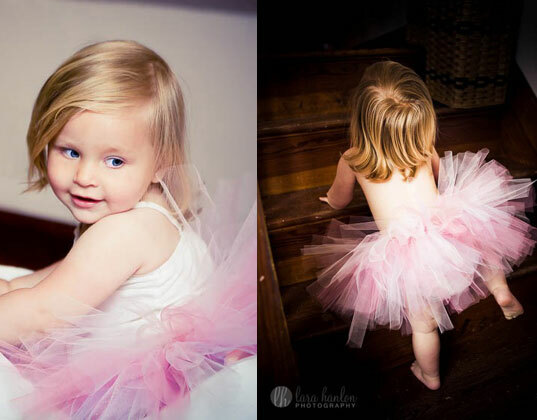 $10 from every purchase of this handmade, classic pink Breast Cancer Awareness Ballerina Tutu will be donated to the Susan G. Komen Breast Cancer Foundation. Made by Etsy shop, Piccolina Designs, this sweet wardrobe staple of every little girl who dreams of being a ballerina is available in sizes newborn to age 8. 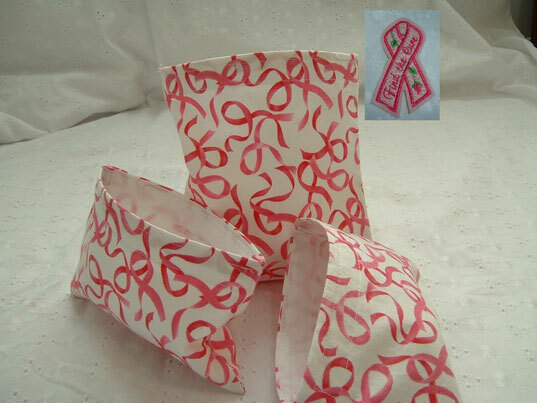 We’re all for reusable lunch gear because it keeps plastic waste out of landfills, and this eco-friendly trio of reusable lunch bags has the added bonus of boasting the pink ribbon symbol for breast cancer awareness. One sandwich bag and two snack bags are included in the set which features velcro closures to keep food fresh. 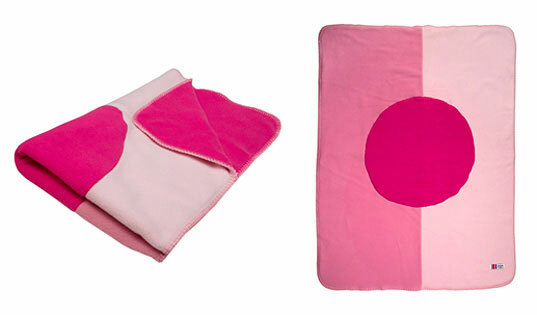 Giggle’s Think Pink Fleece blanket is made from recycled soda pop bottles! 10% of proceeds from the sales of this double-layered fleece, warm and cozy blanket will be donated to the Young Survival Coalition which unites women with breast cancer age 40 and under. 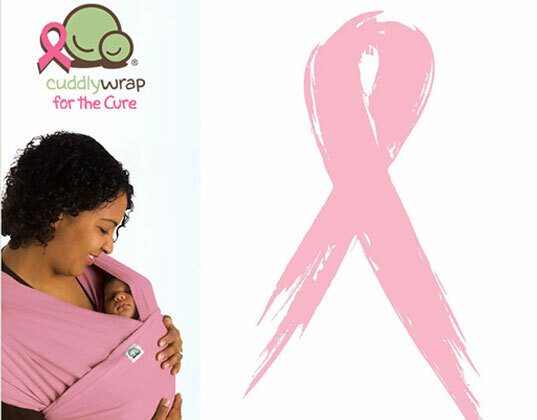 $5 from the purchase price of this snuggly pink Cuddle Wrap will be donated to the Canadian Breast Cancer Foundation. This 100% organic cotton, Fair Trade wrap promotes bonding and allows for easy, private nursing sessions with infants. Why do people feel that it is a good idea to advertise, whatever is being advertised, across the rear-ends of our young girls? Of course this is a good message but sadly marketed in a damaging, unthoughtful way. When was the last time that you saw a boy/young man/man walk around with something written/stiched on his rear-end? Never (or so rarely that I don't remember). This is overt sexualization of young girls for whatever reason is stiched onto their rear-end. I deeply regret that inhabitots, a site that seeks to be a hub of progressive ideas and tools to help in raising your child, has chosen to support this type of practice, the sexualization of prepubescent girls. I am very disappointed. Cabalist: As the mother of a young daughter, I completely understand your frustration about messages being written across the bottom of girl's clothing. In the majority of cases, it is not clothing I would endorse, but in this very rare instance, the fact that the skirt bears the breast cancer awareness pink ribbon and 100% of its proceeds are donated to a young woman fighting the disease, I would certainly consider this the exception to the rule. Further, would you agree that any writing across the chest of a t-shirt for girls, or any label in that general area also incites unwarranted attention and focus? My point is: the message is more important than its location. "Save the Earth" across the chest of a T-shirt is as wholesome as it gets, and in this case, "grrrl" as in "fight like a girl" to survive breast cancer couldn't be more innocent. With regard to your disappointment in Inhabitots in its entirety, I think you should reconsider judging the overall integrity of our site based on one item that you don't personally agree with. We continue to shed light on countless ways to improve the lives of families, children and the earth at large and we in no way support sexualization of young women simply because we included one item in a round-up that may actually help save the life of a dying young woman. October is Breast Cancer Awareness month and we've found five great eco-friendly products that will help you 'Think Pink' and shop green to raise awareness and funds for finding a cure for breast cancer. Moms and daughters will delight in these pretty, pink finds!